This picture was taken during an Open the Book assembly at Curledge Street Academy, Paignton. 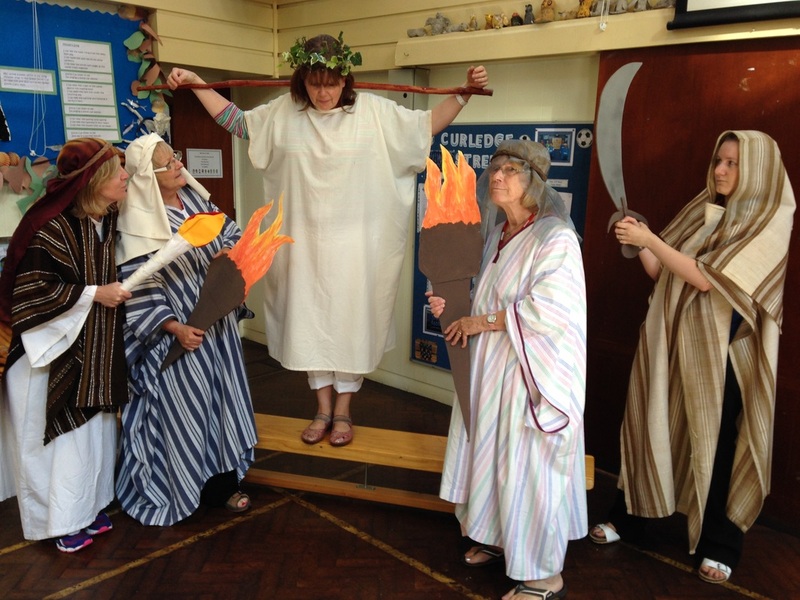 A team of storytellers from Great Parks Chapel, Paignton take weekly assemblies at the school, bringing Bible stories to life. If you would like to know more about Open the Book, please visit their website. The ICE Lunch Clubs, which started running in 2015, have always proved very popular and been well received by both the children and school staff. ​The clubs are free of charge and offer 30-45 minutes of non-stop activity including quizzes, games, drama, reflection, craft and video clips. The clubs can be pitched at either KS1 or KS2. 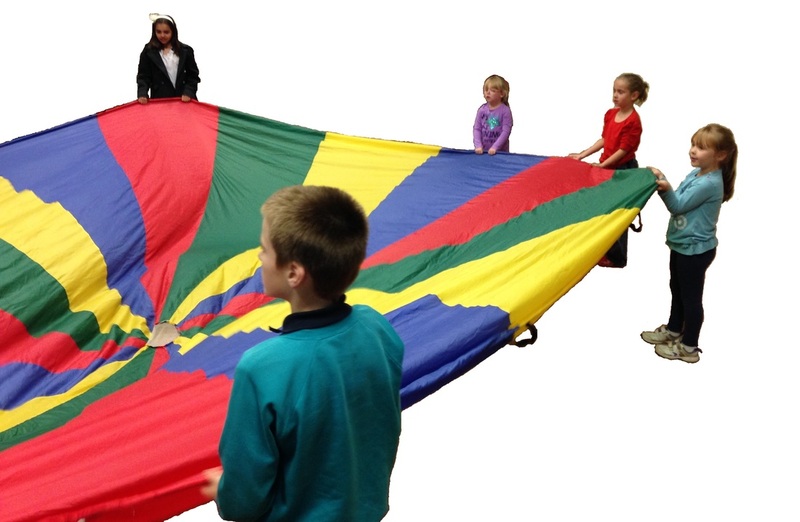 ​We run our clubs in many of the primary schools across Torbay, and tend to focus on a specific theme each half-term. Previous themes have included; 'The Fruit of the Spirit', 'Abraham's Exciting Journey', 'Characters in the Bible' and 'An Overview of Christianity' (where we looked at faith and love). We also run some very exciting sessions at Christmas and Easter - which always go down well! ICE Torbay have carried out a number of Payer Spaces in Schools projects, with themes including Christmas, Easter, and Transition (for Year 6). 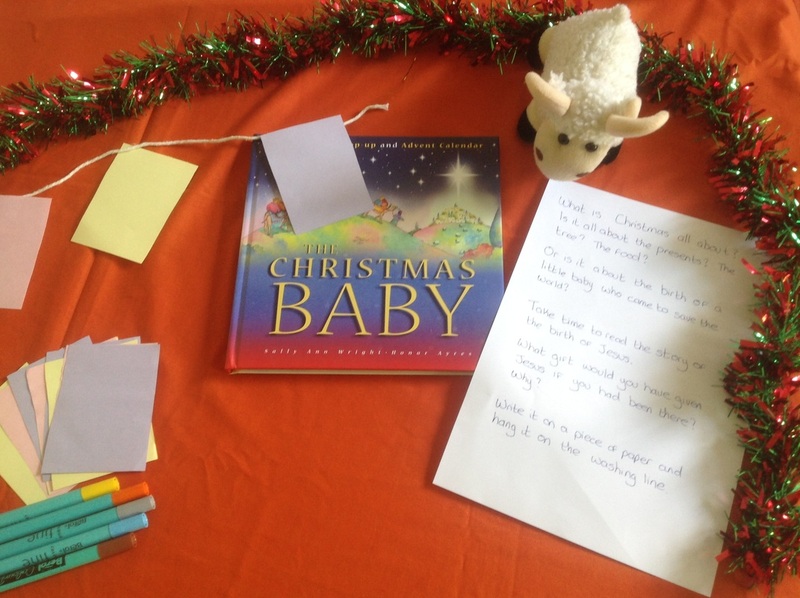 We can offer Prayer Spaces with other themes, as well as general creative prayer activities. Prayer Spaces enable children to explore faith and spirituality from a Christian perspective in a safe, creative and interactive way. The project links with RE curriculum objectives by enabling children to interact with questions of meaning; thinking about why prayer is important to Christians and reflecting on what prayer means for them. Members of the ICE Torbay team transform a classroom/hall space, then invite a class to enter the quiet space where they are able to visit some or all of the 6 different stations. ICE Torbay run a holiday club, during the school summer holidays, (either the first or second week of the holidays). The club will be based at a local church (Paignton). We will provide information regarding this club nearer the time.